Warning: QUINOA AND GALLERY OPENINGS MAY BE HARMFUL TO THE HEALTH AND WELL-BEING OF OTHERS. This message could serve as a logical (albeit silly) label affixed to Reading Classes: On Culture and Classism in America. Most Americans have a basic understanding of how economics, wages, and income shape and define the class system in their country. Many, however, never consider the role and power of culture and its accompanying accoutrements in those divisions. 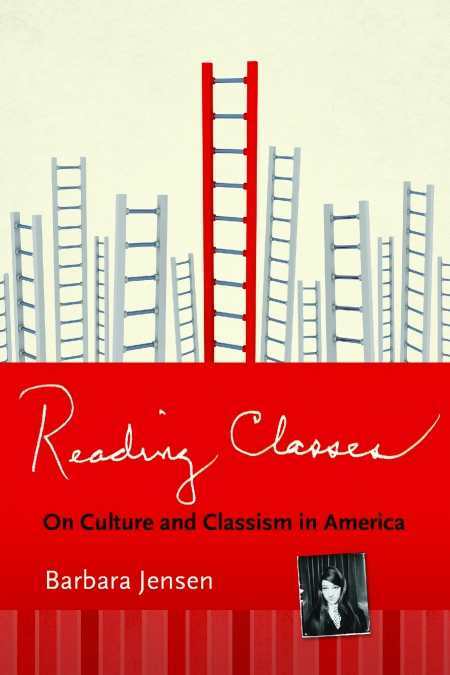 In this book, psychologist and educator Barbara Jensen examines the functions of cultural classism in America, and specifically its negative effects on the working class. The main culprits, perhaps surprisingly, are not the nation’s wealthiest, but the moneyed-enough middle class. The author, a former member of the working class and current member of the middle class, is what the book refers to as a class “crossover.” With keen insights into both groups, their values, attitudes, and struggles, she has written a work that seamlessly melds personal and clients’ stories with theoretical and scientific studies in support of her premise. In her capable hands, the major distinctions and differences within these areas of cultural life—home, work, education, and play—move well beyond surface discussions of systems and styles, and ultimately make it is impossible for the reader to deny the negative effects of the dominant middle-class structure. “Everyone is taught in school which ones are the ‘good’ manners, ‘proper’ English, the ‘good’ schools, the ‘best’ occupations,” explains Jensen. “Everyone sees the movies and other media telling which are the ‘normal’ people.” This message is introduced early in the book and continually hammered home. An enlightening read on the consequences of classism in America, for the middle class this book effectively shatters the myopic cultural lens through which they often view, judge, and justify the subjugation of the working class. For the working class, it is an affirmation of their cultures, lifestyles, and labors. A companion for the class “crossovers,” it’s a must-read for teachers, psychologists, and social workers.